Yoshihiro Francis Fukuyama (born 27 October 1952) is an American philosopher, political economist, and author. Francis Fukuyama was born in the Hyde Park neighborhood of Chicago. His father, Yoshio Fukuyama, a second-generation Japanese-American, was trained as a minister in the Congregational Church and received a doctorate in sociology from the University of Chicago. His mother, Toshiko Kawata Fukuyama, was born in Kyoto, Japan, and was the daughter of Shiro Kawata, founder of the Economics Department of Kyoto University and first president of Osaka Municipal University in Osaka. Fukuyama's childhood years were spent in New York City. In 1967 his family moved to State College, Pennsylvania, where he attended high school. 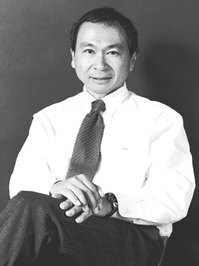 Fukuyama received his Bachelor of Arts degree in classics from Cornell University, where he studied political philosophy under Allan Bloom. He earned his Ph.D. in government from Harvard University, studying with Samuel P. Huntington and Harvey C. Mansfield, among others. Fukuyama has been affiliated with the Telluride Association since his undergraduate years at Cornell, an educational enterprise that was home to other significant leaders and intellectuals, including Steven Weinberg and Paul Wolfowitz. Fukuyama is currently the Bernard L. Schwartz Professor of International Political Economy and Director of the International Development Program at the Paul H. Nitze School of Advanced International Studies of Johns Hopkins University, located in Washington, DC. 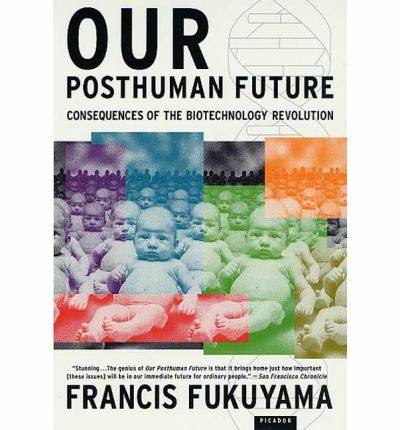 Fukuyama is best known as the author of The End of History and the Last Man, in which he argued that the progression of human history as a struggle between ideologies is largely at an end, with the world settling on liberal democracy after the end of the Cold War and the fall of the Berlin Wall in 1989. 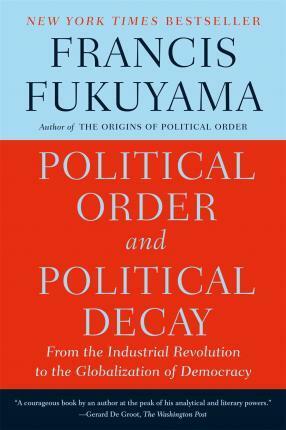 Fukuyama predicted the eventual global triumph of political and economic liberalism. What we may be witnessing is not just the end of the Cold War, or the passing of a particular period of post-war history, but the end of history as such... That is, the end point of mankind's ideological evolution and the universalization of Western liberal democracy as the final form of human government. 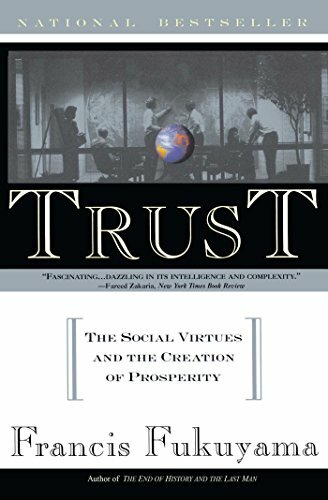 He has written a number of other books, among them Trust: The Social Virtues and the Creation of Prosperity and Our Posthuman Future: Consequences of the Biotechnology Revolution. 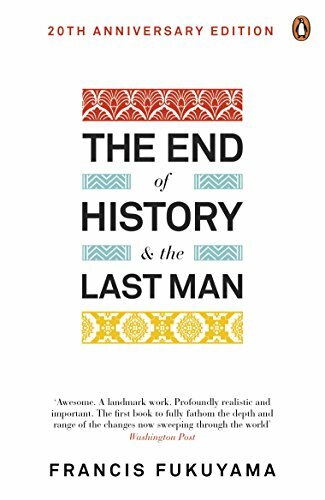 In the latter, he qualified his original 'end of history' thesis, arguing that since biotechnology increasingly allows humans to control their own evolution, it may allow humans to alter human nature, thereby putting liberal democracy at risk. One possible outcome could be that an altered human nature could end in radical inequality. He is a fierce enemy of transhumanism, an intellectual movement asserting that posthumanity is a highly desirable goal. The current revolution in biological sciences leads him to theorize that in an environment where science and technology are by no means at an end, but rather opening new horizons, history itself cannot therefore be said to be, as he once thought, at an end. In another work The Great Disruption: Human Nature and the Reconstruction of Social Order, he explores the origins of social norms, and analyses the current disruptions in the fabric of our moral traditions, which he considers as arising from a shift from the manufacturing to the information age. This shift is, he thinks, normal and will prove self-correcting, given the intrinsic human need for social norms and rules.